Mike specialises in fleet strategy, aircraft evaluation, fleet planning, aircraft acquisition and disposal. He has extensive experience working with a wide range of airline strategists worldwide to optimise the match of aircraft type to network requirements. He has demonstrated expertise in negotiating with aircraft manufacturers, engine manufacturers and lessors, which has resulted in significant savings in the through life cost of ownership of those fleets acquired to meet the various network demands. 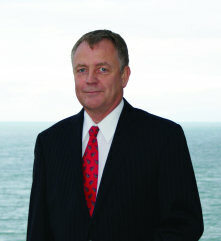 His most recent responsibilities while employed by Air New Zealand included developing the fleet asset management strategy for the Air New Zealand Group, managing technical and economic evaluations of fleet options and managing the acquisition and disposal of Air New Zealand Group's fleets of aircraft including negotiation for purchase and leasing of aircraft. He has, in recent years, managed six fleet evaluation and acquisition programmes for Air New Zealand resulting in the purchase of Bombardier Q300, Airbus A320-232, Boeing B777-200ER, 787-9 and B777-300ER fleet types and the consequential disposal of Saab S340A turboprops, Boeing B737-300, B767-300 and B747-400 jets. The total value, at list price, of the new fleets being in excess of US$10 billion. Mike's skill-set includes project management, documentation preparation for aircraft acquisition negotiations, aircraft evaluation, commercial contract negotiation, aircraft introduction to servicer and through life asset management. Mike has worked extensively with airlines, aircraft manufacturers, aircraft lessors, aviation finance and legal experts and has an in-depth understanding of through life cost of aircraft ownership. He has an extensive network of industry contacts including all major aircraft and engine manufacturers. Mike's most recent airline operations project has been in assisting Skywest (Australia) and Virgin Australia establish the Australian Regional Airline Network where a fleet of ATR72 turbo prop aircraft were introduced to service on the Australian East Coast. In this role Mike was responsible for the overall project management of the introduction to service of the new operation for Skywest as well as the negotiation of all maintenance contracts, aircraft delivery and pre-service modifications. Mike holds an Aeronautical Engineering Degree and an MBA from Auckland University. He is a Fellow of the Institute of Professional Engineers of New Zealand.